Did you know that there are many different levels of senior care? They can differ greatly according to the level of self-reliance that a senior enjoys. On one end of the senior need spectrum, there is INDEPENDENT LIVING. This arrangement works when an aging parent remains capable of managing most daily tasks but wants to perhaps downsize, live among similar-aged peers and leave tasks like cooking and housekeeping to someone else. The security of a community like Regency Senior Living may appeal to someone living in a dangerous world where they feel increasingly vulnerable. This is the lifestyle most of us imagine when we think of spending our golden years in style and leisure. Independent Living is best-suited for those who do not need skilled medical care and can come or go as they please. IN-HOME CAREGIVING can vary from someone checking in daily or weekly to make sure a senior has eaten and can get help with routine daily tasks. Such an arrangement can work for at least a short time if the senior remains fairly self-reliant. 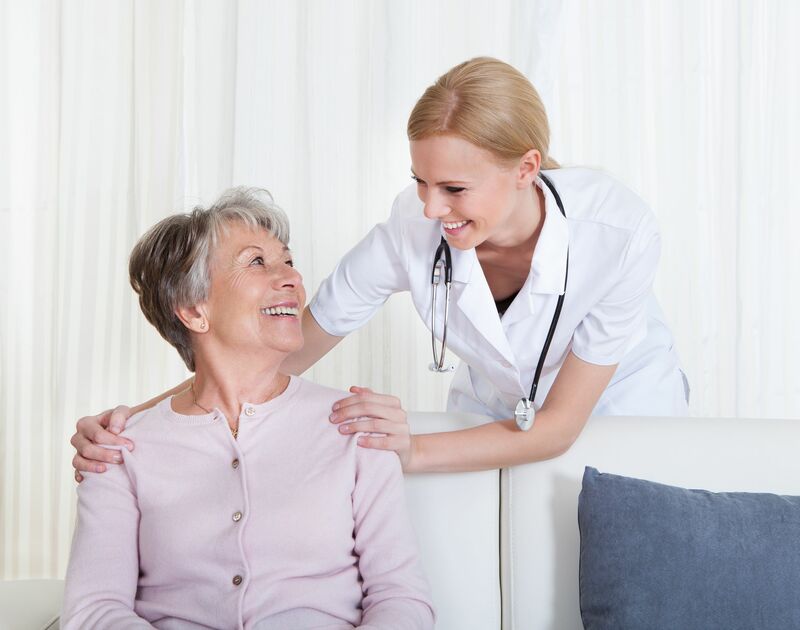 One advantage of in-home care is that a parent may be able to stay in their home for at least a short time. Disadvantages include a lack of security and emergency care when compared to a senior living community. It is important to critically assess whether a senior can actually make due with in-home caregiving services provided by either a family member or a hired hand. There’s a risk of being in denial to avoid the effort and expense of transitioning out of the home into a senior living community. ASSISTED LIVING is the next tier of senior care. It is ideal for parents who find that they need assistance from a caregiver to get around or do things like bathing or dressing, as well as needing reminders to take medications at the right times. A resident who needs a helping hand – but not skilled medical care services – will like the way Assisted Living provides assistance while largely preserving their privacy and independence. Nightly resident checks make sure Regency residents in Assisted Living are well and secure, yet around-the-clock care is nearby if needed. Some eventually need to transition to a MEMORY CARE section due to the onset of dementia or Alzheimer’s. Here, the senior’s dignity and quality of life are key concerns, giving residents who need such services the attention and activities they need to experience a better lifestyle. Families can enjoy the peace of mind that mom or dad are safe and don’t have to struggle with remembering when to eat or take their medicine. Regency not only provides 24/7 licensed nursing staff but also daily activities and comfortable facilities. While we never hope to see anyone needing Memory Care, it’s good to know that such services exist when precious family suffer from dementia. At the other end of the senior care spectrum is NURSING HOME CARE. Some parents who’ve never visited a senior living community might imagine that it is going to be like a nursing home, but the focus there is more on hospital-like medical care than personal enrichment through recreational activities and private apartments. Individuals prone to frequent hospital stays are most likely to need nursing home care as opposed to a lower tier of service. Because of the high level of care needed, nursing homes generally cost considerably more than Assisted Living, according to the website payingforseniorcare.com. We hope this information helps you in your decision on what level of care to seek for an aging parent or a family member in need of short-term care.